“Goraikō” means dawn in Japanese – not just any dawn, but the unique and all-encompassing kind that you experience from Mt. Fuji, for example. 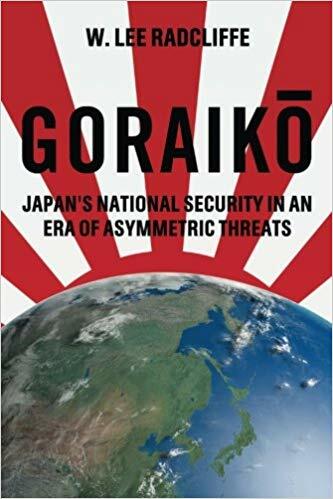 I titled my just-published book Goraikō: Japan’s National Security in an Era of Asymmetric Threats, after that unique dawn because the Japanese experience over the past twenty-five years has been gradual yet, ultimately, dramatic. Missile threats. Terrorist attacks using biological and chemical weapons. Mass hostage-takings. Foreign special operations infiltrations into territorial waters. State-sponsored kidnappings of Japanese citizens. And multiple neighboring autocratic regimes developing nuclear weapons. These are some of the many national security challenges Japan has faced in the two decades after the end of the Cold War. After the demise of the Soviet Union and the ensuing instability in Asia from the early 1990s, however, a myriad of national security events impacted Japan and its interests in the region that were non-conventional and asymmetric in nature. Focused almost entirely on economic development since the end of World War II, Japanese policymakers and military leaders were initially unprepared to deal with each successive crisis. Through gradual yet ultimately dramatic reforms of its national security structure and intelligence capabilities following each crisis, together with a refocused defense strategy called ritō bōei or “remote island defense” beginning in the early 2000s, Japan has modernized its national defense capabilities to meet the asymmetric challenges of the 21st century. The “Land of the Rising Sun” is rising again as a democratic power in Asia. What does this have to do with the TSP? Not much, but in some important ways, quite a lot. I hope to discuss this more in a future post, but for now I wanted to highlight Goraikō’s publication because I know some readers work on Asia-related issues, and some access this site from their duty stations in Asia and in Japan. A Kindle version is available as well.